If you are in the service industry, you are your brand. Therefore, to be successful and prosperous, you must remember the importance of selling the intangible. After all, both you and your service, unlike an object, are not easily seen, understood or available for objective evaluation. To make sure that you understand this, we need to unpack the meaning of intangible. If someone is buying a physical product, they can see the quality of the finish and perhaps the manufacturing or engineering that has gone into it. The weight of materials, the luster of the finish and the fit of components are all clues as to the value. 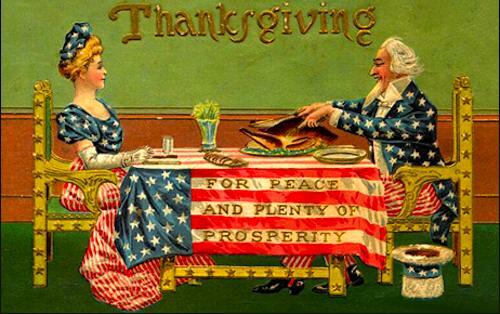 The ultimate holiday for prosperity is Thanksgiving. It’s occurrence during the final weeks of the contraction/concentration portion of the annual cycle is auspicious. A time of appreciating all that you have set in motion during the expansion and harvested during the contraction. The power of appreciation is that it puts your focus in the correct place for prosperity. It puts your attention on what you have, what you’ve created and the fruits of your labor and creativity. We seem to be in an epidemic of rage and anger that transcends affiliations of political, religious and philosophical orientations. There is a broad-based anger that comes out from groups who state they are for inclusiveness while they are threatening, intimidating and attacking anyone who disagrees with them. Freedom of speech has been supplanted by demands for conformity and understanding is only acknowledged if there’s agreement. The age of agreeing to disagree has been replaced with name calling, threats, and demands for peace through conformity or risk violence. It’s been building for years and is present in entertainment, media, politics, education and many other venues. From the perspective of prosperity and energy flows, yes and no. The equinox doesn't carry the same energetic weight as the solstice, but it's good to understand the value of the event. Whereas the shift from the length of the day getting shorter to longer or longer to shorter has a strong influence on our energy flows at the solstice, the equinox is more subtle. Is fear of failure running and ruining your life? Probably. Most people are more motivated by fear of failure than by inspiration. It's at the core of all performance anxiety. This is about your inspirational life, not the mundane part that has to follow rules, laws of physics and laws of society. This is about your creative expression in vocation, avocation and love. Do what you love and the money will follow? I'm afraid this adage has been misconstrued by many to mean do what makes you happy. The problem is, happiness is an elusive, temporary condition without a foundation. It blows in the winds of emotion. The real foundation of anything you do is meaning.